For Rick Marzan of Città del Cottone, pizza is all about authentic ingredients and the Italian brick oven. Located in what was once a small storage building, the interior upfit was designed to show off these elements. 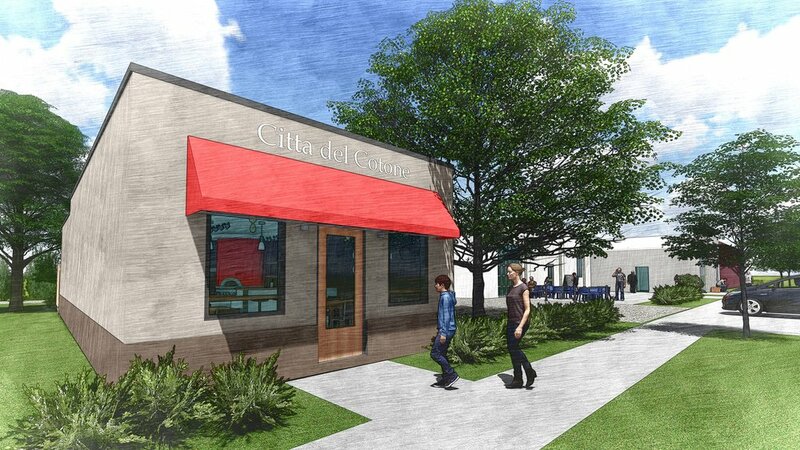 The warmth of the atmosphere is accentuated by the wood fired oven facing the Sumter Street entrance. The quality Neopolitan pizza ingredients, authentic San Marzano tomatoes and Napoli Pizzeria flour, are displayed as part of the interior décor. Known for his creative combinations, SEED designed a long bar where guests can watch Rick toss and craft their pizza. SEED Architecture is grateful for the opportunity to work with a neighboring business and create a home for this authentic Neopolitan pizzeria on Sumter Street.